I know I said in a previous YouTube Video Of The Week that Trashimation Theatre's Pokémon parody animation was my favourite, but it has since been replaced. Not to say that that one is bad or anything. 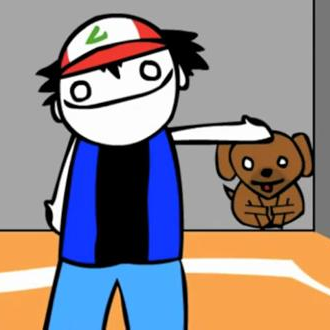 Anyway, recently my flatmate Kyle showed me an online animation 'Pokémon But With Animals Instead' and its three episodes, and I've got to say - its absolutely hilarious. I've posted up all three episodes in a playlist, so you can watch them all.